Our public tours have evolved since their inception in 2004, but the core principles remain the same. 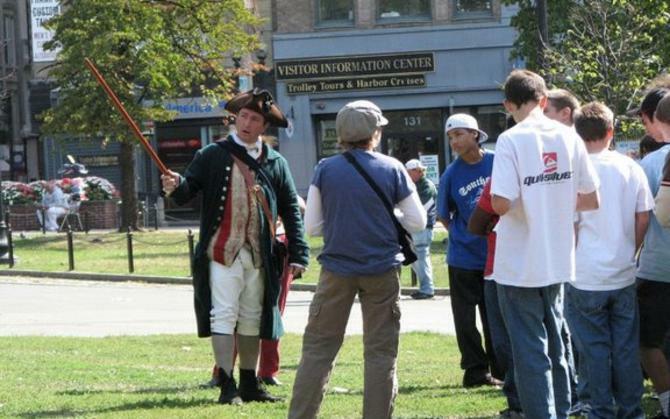 We use the Freedom Trail as a stage to tell the stories of colonial Boston and the American Revolution. We are more than a tour that simply points out sites, this tour is an interpretive experience that takes almost two hours to complete. 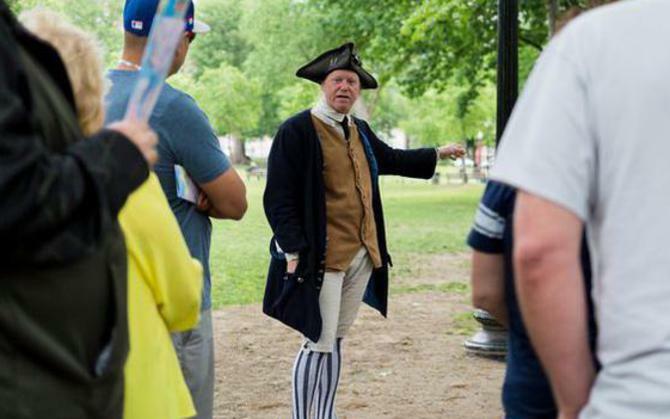 Beginning or ending at Boston Common, the oldest public park in North America, your tour will pass the Park Street Church, into the Granary Burial Ground, where James Otis, John Hancock, Peter Faneuil, Paul Revere, Samuel Adams, and others are buried. 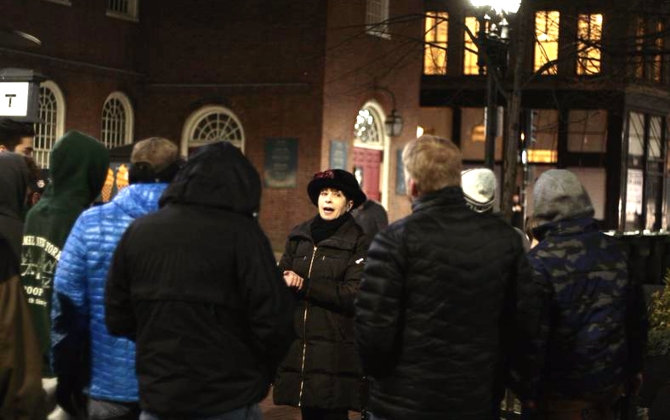 From there it’s on to talk about King’s Chapel, the colony’s first Anglican Church, now a Unitarian Church, and down School Street to talk briefly about the first public school in British North America: The Boston Latin School. On from there to talk about Old South Meeting House and the Boston Tea Party, and Faneuil Hall. 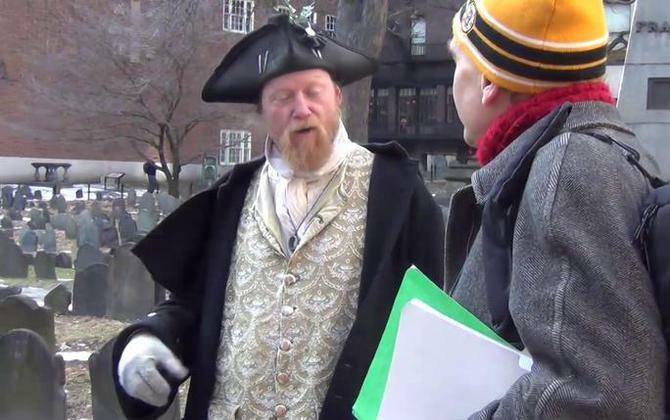 You’ll learn about Paul Revere and his famous Midnight Ride at his tomb site. Just display the confirmation email before tour departs.